Their chemistry both on and off-screen are loaded with cuteness. Tiger Shroff and Disha Patani may have denied their relationship. But every time the two step out together, you cannot deny the natural chemistry the two share. 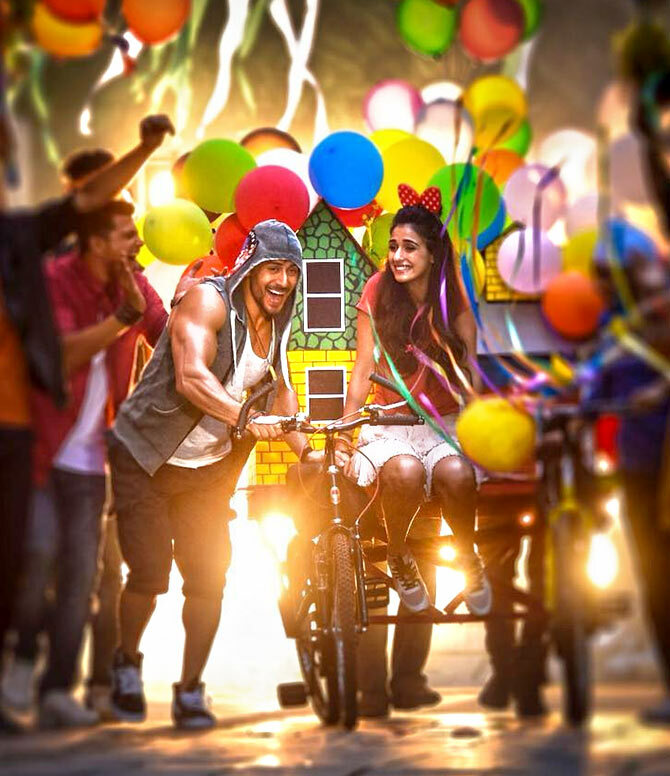 Call it friendship or love, the two are setting up inspiring relationship goals ahead of Baaghi 2. They say, a couple that can dance together have unlocked the secret to happiness. Tiger and Disha have jointly raised the bar for young couples with their inimitable dancing skills. They can break a leg impromptu and make it look like they've rehearsed for years. They may not acknowledge it in those many words, but the duo's chemistry stems from mutual respect and care for each other. A small incident at the Lakme Fashion Week in 2017 will prove how protective Tiger is. Disha, who was wearing a short Manish Malhotra dress was getting ready to pose for the media. Tiger, who realised the reflective glass ramp, warned Disha to be careful about revealing more than intended. Disha heeded his advice and was saved from an embarrassing public moment. If twinning and winning is a couple thing, Tiger and Disha have mastered the class and given us ample style lessons. Their penchant for fitness coupled with their natural goofiness makes them an adorable pair. Their super cool dance moves and spunky chemistry charms people of all ages. No wonder they are a hit with the kids too. When they recently appeared together on a dance reality show, the baccha party surrounded them and made them dance and woo each other. And like a cool couple, the duo made their visit memorable. Who says chivalry is for the men? If Tiger plays the protective and charming partner, Disha sometimes takes the lead and let him relax. There are countless instances when Disha has driven the car with Tiger in the backseat. While attending a promotional event, Disha even held and shut the car door for her co-star. Equality indeed begins at home.